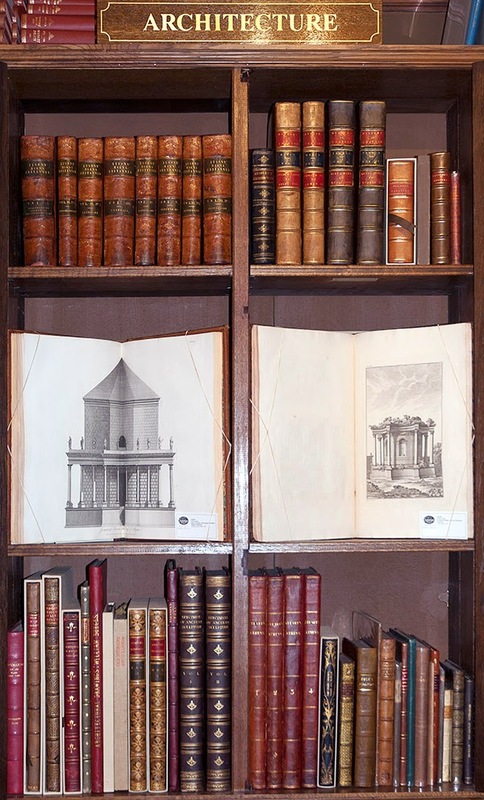 Among the architecture department’s shelves this week we are highlighting three works that were instrumental in informing the development of architectural taste in Britain in the second half of the eighteenth-century. All three works resulted from expeditions undertaken by their authors to classical sites in Europe and the Near East. See the catalogue of items. Robert Adam's volume on the palace of the Emperor Diocletian at Spalatro (now Split), had its genesis in the mid 1750s, with the architect's desire to publish a revised and corrected edition, with fresh plates, of Antoine Desgodetz's Edifices Antiques de Rome first published in France in 1682. At the same time, in the company of the artist and antiquary, Charles-Louis Clérisseau and the etcher Giovanni Battista Piranesi, Adam set about recording the remains of Hadrian's villa at Tivoli and the Baths of Caracalla and Diocletian, again with the aim of going into print. None of these projects came to fruition, as by October, 1756 Adam had decided to visit Spalatro to make accurate drawings of the palace complex with a view to forming the basis of a publication on the subject. Along with Clérisseau and two other draughtsmen Adam spent five weeks there studying the ruins of the palace between July and the end of August 1757. Returning to London, Adam left Clérisseau in Venice where the latter embarked upon the task of supervising a team of engravers in turning a proportion of the drawings into plates. 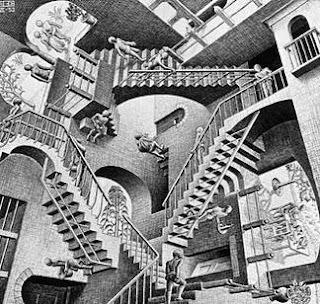 This was to be fraught with problems as Clérisseau's eye for the picturesque and the sublime tended to create discrepancies in the details displayed in the perspective views and those of the sections and as such was at odds with Adam's intention of putting before the public an accurate record of what remained of the palace. In addition it transpired that Clérisseau had taken every opportunity to display his drawings to visiting English cognoscenti in Venice, leaving most in no doubt that the majority of the views had been made by himself under Adam's supervision. Consequently Adam felt it necessary to minimise Clérisseau's part in the venture, at one point even considering printing Robert Adam delint at the foot of every plate. In the event Adam contented himself by leaving all signatures off the plates except for those of the engravers, and giving Clérisseau only the briefest of mentions in the preface. The text was no less an issue, as Adam, while feeling unequal to the task nevertheless was keen to give the appearance of it being from his own hand. Having cast around for an author Adam initially engaged his brother-in-law John Drysdale, whose indolence was such that Adam eventually turned to his cousin, William Robertson, the historian. This proved fortuitous because as Fleming notes, 'Robertson's collaboration is of the greatest importance, for it extended beyond the mere wording of the Preface. His lucidity, his scholarly detachment and, above all, his passion for scrupulous accuracy and constant recourse to documentation were to influence Robert profoundly.' Fleming, John. The Journey to Spalatro. pp. 103-107. Architectural Review Volume 123. Number 733. February 1958. Seven years prior to Adam’s journey to Spalatro, Robert Wood, the antiquarian, had ventured much further east into the Levant. The Ruins of Balbec was intended as a sequel to the author’s critically acclaimed Ruins of Palmyra first published in 1753. Both works were the fruit of a journey undertaken by Wood in the company of James Dawkins, John Bouverie and the architectural draughtsman, G.B. Borra. Embarking at Naples in the spring of 1750 the party sailed to Anatolia before travelling through Turkey to Samos where Bouverie died of pleurisy. From here the reduced party continued through Asia Minor and Egypt, visiting Palmyra and Balbec, before returning to London late in 1751. While Palmyra as a whole may have been more of a revelation to European eyes than Balbec, whose buildings were already reasonably well-known from a number of engraved works, it was the latter which proved the more influential. Details of many of the site's buildings were imitated in British buildings of the latter half of the eighteenth-century. The ‘Circular Temple’ to the south east of the complex formed the basis of designs by William Chambers for the Temple of the Sun at Kew and subsequently by Henry Flitcroft in his similarly named temple at Stourhead. The journey from expedition to publication was a relatively short one for the first two titles. The same was certainly not the case for the third work: The first volume of James Stuart and Nicholas Revett’s The Antiquities of Athens, appeared in 1763, volumes II and III followed in 1790 and 1794, with the fourth volume appearing in 1816 (a Supplement forming a fifth volume was issued in 1830). The principal author was the architect, archaeologist, and painter 'James Athenian Stuart (1713-88). After travelling to Rome in 1742, Stuart accompanied Nicholas Revett on an excavation in Naples. In 1751 they travelled to Athens on an expedition organized and funded by the Society of Dilettanti of London. In Athens they made accurate measurements and drawings of the ancient Greek ruins there, particularly those of the Acropolis, before moving on to other classical sites in Asia Minor. The work soon became a source book on ancient Greek architecture and acted as an important influence in the 'Greek revival' of the late eighteenth and nineteenth centuries' (British Museum - Highlights, online). Again, specific details of classical buildings that had been drawn and measured on the expedition resurface in the work of both Stuart and Nicholas Revett. Two well-known examples are Revett’s design commisioned by Henry Dawkins, the brother of James, for the portico of Standlynch (now Trafalgar House), near Salisbury, based on that of the Temple of Apollo on Delos (Antiquities of Athens. Vol III. Chap. Pls. I-VI) and his Ionic portico for the west front of West Wycombe, based on the Temple of Bacchus at Teos (Society of Dilettanti: Antiquities of Ionia. London,1769. Volume I. Pl. IV). A full account of both the expedition to Greece by the authors in the company of Robert Wood and James Dawkins, and the subsequent gestation of the volumes prior to publication is provided by Eileen Harris and Nicholas Savage in British Architectural Books and Writers 1556-1785. Cambridge, 1990. and in the relevant entries in the catalogue of Early Printed Books in the British Architectural Library. Eric Gill, An exhibition of works on paper.